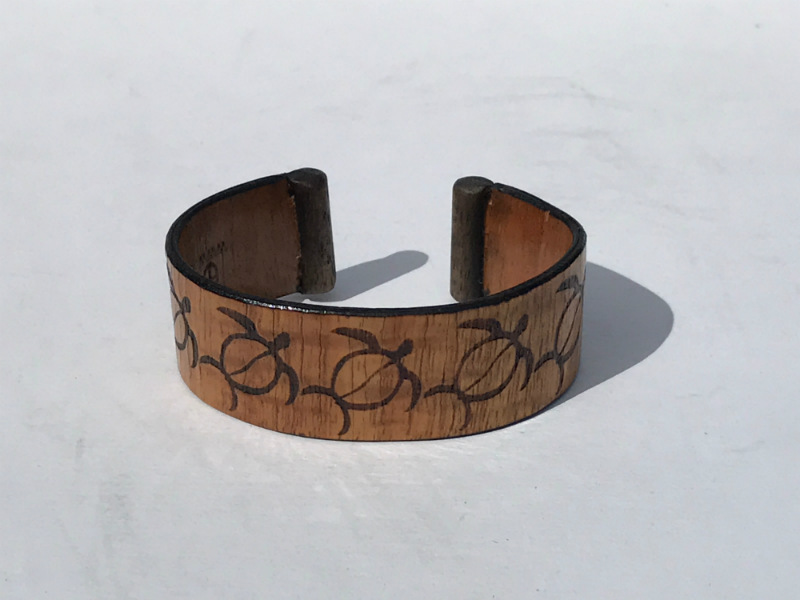 Bendable Hawaiian Koa wood cuff engraved with honu (sea turtles). Available in 3 sizes: small, medium, large. As always, Made on Kauai. 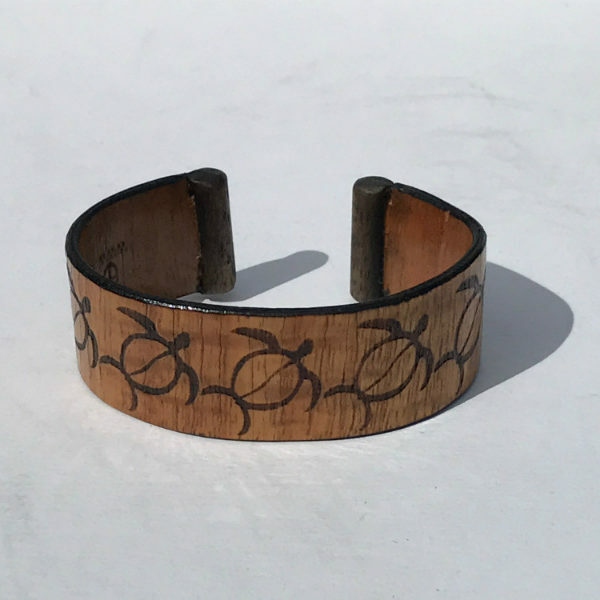 Bracelets can be bent and shaped for a perfect fit. Designed for men and women and children. Orders are sent Priority mail and delivery time is 7-10 days on average. We also ship international. Custom shipping options available. Contact us for prices and options at contact@konacaps.com or call 808-482-1856.